Started as Advertising Branch of the Department of Information & Broadcasting on March 1, 1942. 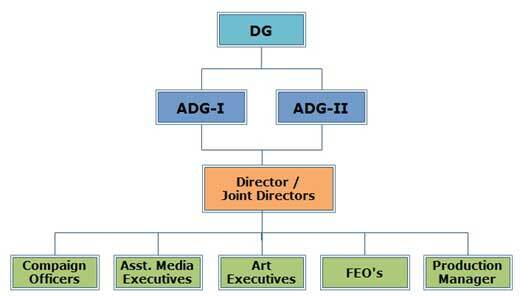 Declared an attached office of the Ministry of Information and Broadcasting on October 1, 1955 as Directorate of Advertising and visual Publicity (DAVP). Financial and administrative powers delegated to DAVP on April 4, 1959. We are today the only largest and nodal Media Advertising Agency of Government of India with nearly 70 Years of experience in social message advertising. We have a committed team of highly qualified media managers who can conceptualize, organize and execute a 360 degrees time bound campaign in the most cost effective manner. 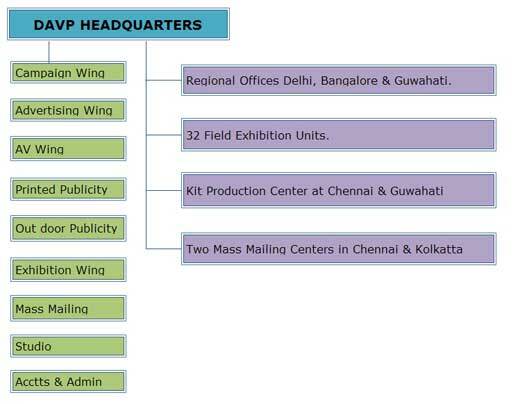 DAVP’s one of the branch was established at Port Blair on 1980. as Field Exhibition Office. From the onwards FEO, DAVP, Port Blair organizing different types of Exhibition in different places at A & N Islands on the theme of “ Safe motherhood, health, healthy mother healthy child, Swasth Gram Swasth Bharat, Sathyagraha, HIV/AIDS, Health for all, Post Tsunami, Bharat Nirman (Flag ship programmes) and Science & Technology. We intend to creatively disseminate the social, economic and cultural messages of the Government to people with a view to inform, educate and empower them and there by transform their lives. We are committed to do this with integrity, efficiency and excellence in all our deliverables. To inform the people about the policies, programmes and achievements of the Government. To secure widest possible dissemination of the intended message of the Government. To provide quality services to our clients Ministers/Departments and other stakeholders. To keep pace with emerging technology for better and effective usage of our media vehicle. To be a catalyst for social change. Press Advertisements, Electronic Media, Printed Publicity, Out of Home Publicity, Exhibitions, Mass Mailing, Emerging Media. 360 degrees media solutions to our clients. Single –window cost effective publicity. National level campaigns in 30 languages. Well –equipped design studio with experienced and trained artists; cost free designs. Multi –Media creative Agencies, print Media Creative Agencies, Audio-Visual Producers, Out door Publicity Agencies on our panel. DAVP advertisement rates are less than half of the commercial card rates of new papers. Largest database of about 5 lakh addresses covering 538 categories for distribution of publicity Materials. Verification and time bound payment s for newspapers and channels on behalf of clients. Quality printing jobs at economical rates. Out door publicity all over India at less than half of commercial rates. Set up and organize nationwide exhibitions towards awareness creation and empowerment of people. No departmental charges since June 1, 2006. 30 of the best Multi Media Creative Agencies and over 60 Print Media Agencies in order to provide a diversified creative talent to our clients. Approximately 4500 newspapers and periodicals covering 30 languages. 250 Audio and Video producers. Over 400 private electronic media channel (205 C&S TV channels and 215 Private FM stations) apart from Doordarshan , All India Radio and LSTV. Approximately 180 outdoor publicity Agencies all states. 50 quality printers with state –of – the –art printing machinery. Our Major clients include M/o H /FW, M/o Home Affairs, M/o Rural Developments, M/o Defence, M/o Finance, M/o HRD, M/o WCD among others. Our Major campaigns include Bharat Nirman, MGNREGA, Right to Education, Mid-day meal, Sarva Shiksha Abhiyan, Minority Welfare, Right to Information, Rural Development, Women Empowerment, Social Justice, HIV/AIDS among others. DAVP has won a number of awards for excellence, including RAPA (Radio and TV Advertising Practitioners Association of India) awards. In 2006, 2008 and 2010 DAVP bagged the Gold Medal for the best pavilion designed and displayed on behalf of the Ministry of Health & Family Welfare at the India International Trade Fair, New Delhi. DAVP has organize one of the Prestigious Exhibition, “Azad Express” Exhibition is about India’ Independence. In ITF-2011 displayed the Exhibition on Behalf of the Diamond Jubilee Celebration of Election Commission Of India., and the Exhibition was won the First Prize. The general public may send their suggestions or query, if any, to the office email id davpfeopb[at]gmail[dot]com.